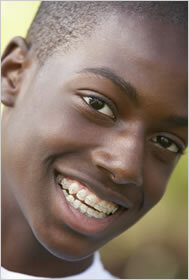 Invisalign, braces, retainers, and everything else that you want to know about orthodontics! Guess what! You don't have to have braces if you don't want to. Invisalign is a fantastic invisable aternative to braces. Not only does it look great, but it's super comfortable and easier to keep your teeth clean. What if I want braces instead of Invisalign? How long will I have to wear Invisalign or braces?